When it comes to your teeth, the smallest detail can mean big things. A tiny piece of food can lead to a large cavity. A little grinding of your teeth at night can lead to huge problems. Dr. Kevin Postol and his team at your Ballwin family dentistry are excited to announce the arrival of their new iCAT 3D Imaging System. The iCAT company has been a trusted provider of dental equipment for over 25 years. They provide specialists to help set up, demonstrate and teach the new technology to the team. So by the time you go in for a check up, your family dentist is already an expert. Not only do these specialists assist with the initial set up, they also help with upgrades and improvements, so there is no need to replace the whole machine. This means you as a patient will be provided with accurate and excellent results the first time, everytime. What are the benefits of using the iCAT 3D? Older X-ray machines only provide a two-dimensional scan, highlighting the teeth and other bones. Your dentist literally has to fill in the gaps to find out what is wrong. 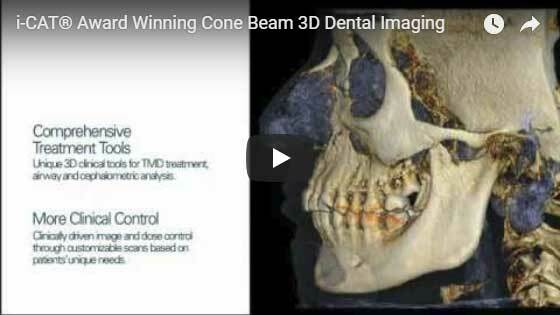 Other scanners provide a 360 degree view of the mouth but often take a big picture of the whole area instead of focusing on tiny details that may be causing problems. This new machine will help your Ballwin family dentist identify problem areas, diagnose, and plan for better solutions. The iCAT scanner takes a high resolution 3D scan of any problem area and provides a more accurate layout for planning and caring for your dental needs. Why should I try the iCAT 3D Imaging? There are many people who suffer from snoring, grinding teeth, or some other cosmetic/dental impairment. You can fix these problems by using a mouthguard, retainer, or surgical implants. However, these options can be time consuming and costly. Using an iCAT 3D scanner, the process is faster, easier, and more accurate. The more information your dentist has the more comfortable you will be with the results. Another benefit of using the iCAT 3D scanner is the newer technology provides less radiation than the conventional X-ray machines. Radiation can be harmful in large doses, so providing a service with less radiation is a benefit to you, your family, and your dentist. Dr. Kevin Postol and his team are now able to provide better care to families using their newiCAT 3D scanner. Set up an appointment today for you and your family to get faster and more comfortable results for any cosmetic or preventive need you might have.